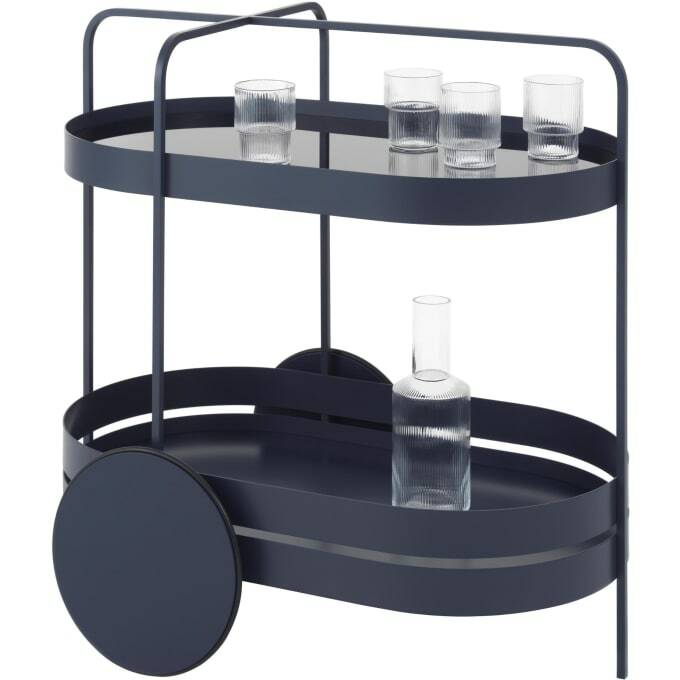 Timelessly modern bar trolley, can also be used as a side table / mobile shelf. Metal powder-coated, colour night blue. Do you have a question about "Grace"? How can we contact you?